A magnificent work of history, biography, and adventure. If the quest for Mount Everest began as a grand imperial gesture, as redemption for an empire of explorers that had lost the race to the Poles, it ended as a mission of regeneration for a country and a people bled white by war. Of the twenty-six British climbers who, on three expeditions (1921-24), walked 400 miles off the map to find and assault the highest mountain on Earth, twenty had seen the worst of the fighting. Six had been severely wounded, two others nearly died of disease at the Front, one was hospitalized twice with shell shock. Three as army surgeons dealt for the duration with the agonies of the dying. Two lost brothers, killed in action. All had endured the slaughter, the coughing of the guns, the bones and barbed wire, the white faces of the dead. In a monumental work of history and adventure, ten years in the writing, Wade Davis asks not whether George Mallory was the first to reach the summit of Everest, but rather why he kept on climbing on that fateful day. 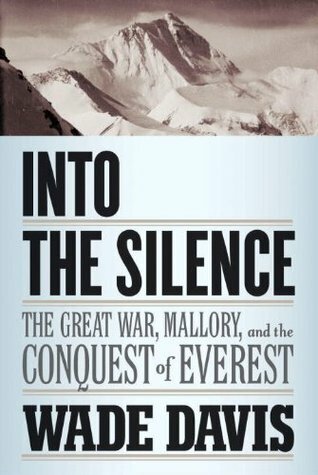 His answer lies in a single phrase uttered by one of the survivors as they retreated from the mountain: “The price of life is death.” Mallory walked on because for him, as for all of his generation, death was but “a frail barrier that men crossed, smiling and gallant, every day.” As climbers they accepted a degree of risk unimaginable before the war. They were not cavalier, but death was no stranger. They had seen so much of it that it had no hold on them. What mattered was how one lived, the moments of being alive. For all of them Everest had become an exalted radiance, a sentinel in the sky, a symbol of hope in a world gone mad.